Alfalfa is a shrub plant like raspberry bushes, but alfalfa usually used for animal feed and becomes a cover plant or mulch plant for other plants that serves to maintain soil moisture. This is a winter plant that is very useful for soil improvement. To these benefits, alfalfa plants have long been planted for generations. Read on the article entitled “How to Grow Alfalfa”, hopefully, it’s useful! Alfalfa is easy to grow and it can adapt to almost all types of plants. Alfalfa is very well planted to keep the soil well and fertile. If you intend to add alfalfa, then choose land that is not covered in sunlight. Also, note that the land is a well-draining area. A good pH level for planting alfalfa is between 6.8 and 7.5. Pay attention to how to grow this alfalfa, before planting, you should first clean the land, remove dirt and treat the soil. To get alfalfa seeds, you can contact a feed supplier, because alfalfa is usually used as animal feed, so it is possible that this plant is available there. If you live in an area with a cold climate, then the best time to plant alfalfa is during spring. 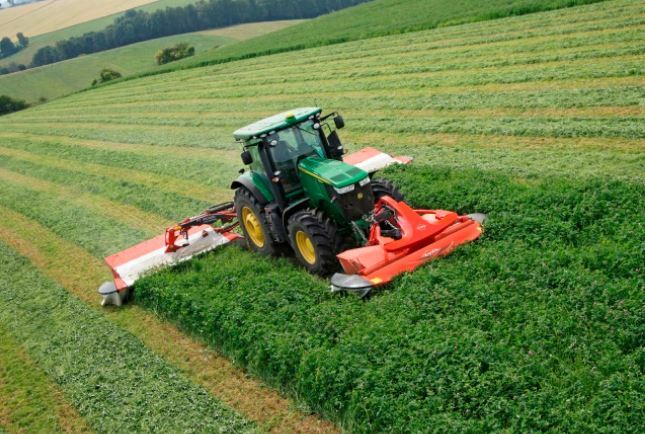 While those who live in temperate regions, they must start growing alfalfa in the fall season. Its growth is fast and its roots spread quickly, you don’t need to plant seeds too deep but just enter about half an inch. You can use about 1/4 pound of seeds for 25 square and make line segments around 18-24 inches. About 10 days after planting, alfalfa will show its sprouts. If alfalfa is already around 12 inches tall, you can thin it to prevent plant density. But if you plant alfalfa for animal feed purposes, you can leave it there until it grows long or blooms. 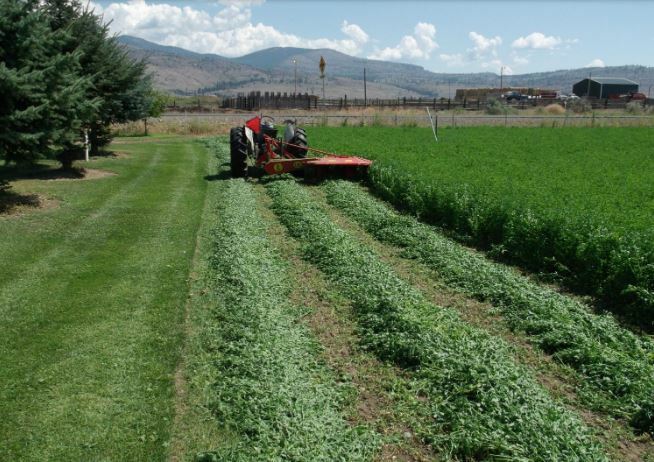 When harvest time arrives, cut alfalfa plants close to the ground, the roots will rot and fertilize the soil and stimulate microbial growth. If you plant alfalfa for animal feed, you need to treat it at the beginning of the flowering period (known as the early-bloom stage). So, harvest at the beginning of the flower bloom. If you leave this plant too old, then livestock will find it difficult to digest. In addition, the initial bloom period also contains more optimal nutrients so it is very good for livestock. If the rainy season has arrived, you should not cut it first because it can make this plant damaged. The rainy season is often associated with fungal problems. The characteristics of a quality alfalfa plant are having a green, pleasant aroma, with thin, flexible stems. Alfalfa has several problems related to pests. Alfalfa weevil can cause severe damage and stem nematodes can become infected. This will weaken the stem.